Perfect Pair | Eat. Go. Learn. Live. 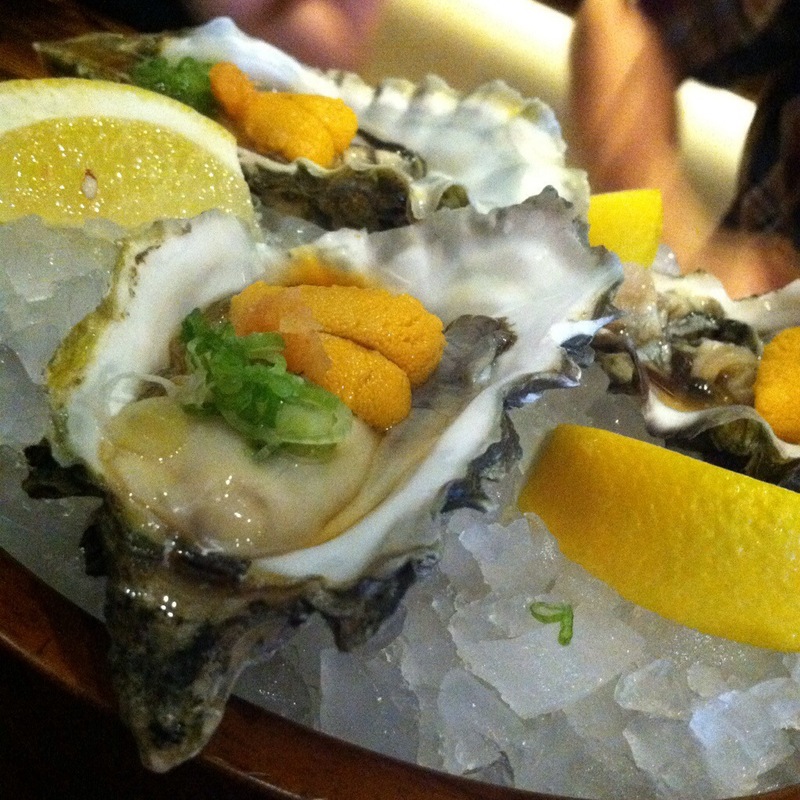 It’s an oyster topped with uni (sea urchin)! I realize that it sounds way too simple to cause such a fuss, but believe me when I say that the flavor that this sea wonder packs is like a touch of God on your tongue. Okay, I exaggerate a tad, but it’s really delicious! After a full meal of various Japanese treats we tried an interesting dessert. 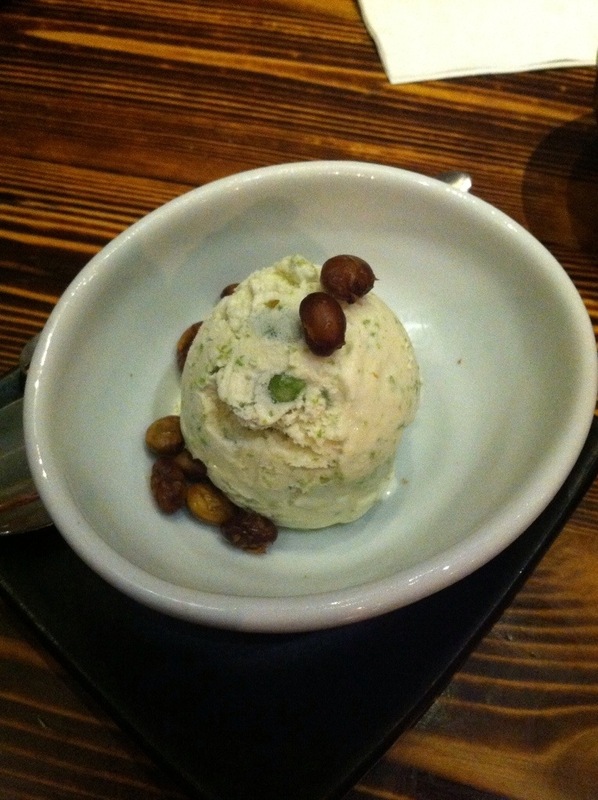 Edamame ice cream. It was surprisingly subtle in taste. Reminded me of pistachio ice cream.